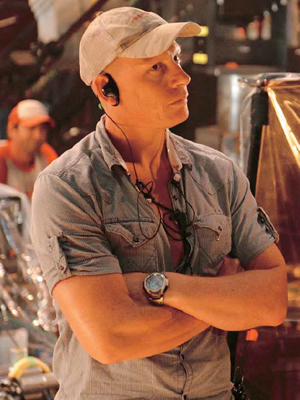 Jules O’Loughlin ACS ASC is a Director of Photography specialising in film, 3D and high definition cinematography. He graduated from the Australian national film school, AFTRS, in 2004. His award winning body of work includes commercials, music videos, short films, television and features including KOKODA, DARK FRONTIER, SANCTUM, WISH YOU WERE HERE and KRAMPUS. His TV work includes REDFERN NOW and BLACK SAILS. KOKODA (2005), Jules’ first feature film was accepted into the prestigious Camerimage in Poland in 2006 and was nominated for an IF (Inside Film) Award and Film Critics Circle of Australia Award. SEPTEMBER (2006) directed by Peter Carstairs screened at the Melbourne, Toronto, Vancouver, Pusan, Rome and Berlin International Film festivals as well as in the Forum section of the Cannes Film Festival. SEPTEMBER won Jules the 2008 IF (Inside Film) Award for Best Cinematography. I AM YOU (2007), stars Guy Pearce, Sam Neil and Miranda Otto screened in the 2011 Milan International Film Festival and was nominated for ’Best Cinematography’. SANCTUM, executive produced by James Cameron using the Cameron/Pace Fusion 3D camera system was shot in 2009/2010. 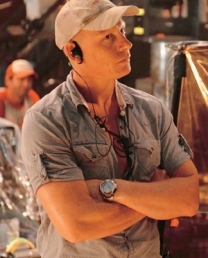 Jules reteamed with James Cameron in 2012 to DP his 3D IMAX feature documentary JAMES CAMERON’S DEEPSEA CHALLENGE for which he was nominated for an AACTA (Australian Academy) award. In 2010/2011 Jules shot Kieran Darcy-Smith’s WISH YOU WERE HERE which earned him a gold ACS award and an AACTA nomination. The film opened the 2012 Sundance Film Festival to critical acclaim. In 2013 and 2014 Jules shot the first two seasons of the Michael Bay produced TV series BLACK SAILS as well as the critically acclaimed Australian TV series REDFERN NOW. His work on REDFERN NOW earned him an AACTA nomination for best cinematography in a television series and both REDFERN NOW and BLACK SAILS won gold ACS awards. Since then he has completed two films in the US; THE WHOLE TRUTH starring Keanu Reeves and Renee Zellweger and THE DUEL starring Woody Harrelson and Liam Hemsworth. In 2015 he collaborated with the folk at WETA Workshop and Digital in Wellington to shoot the dark fantasy feature KRAMPUS for Legendary Pictures. The first half of 2016 was spent in Europe shooting THE HITMAN’S BODYGUARD. It stars Ryan Reynolds and Samuel L Jackson. In late 2016 Jules was accredited by the American Society of Cinematographers, an honour bestowed on only a handful of Australian cinematographers.